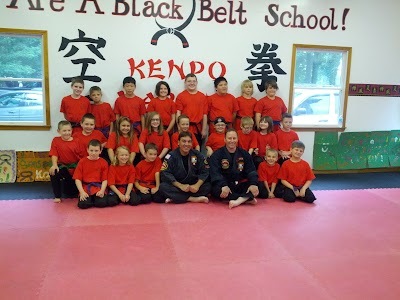 Kenpo – Superior Self Defense Education! Beginner or Advanced, Youth and Adult Classes Available! Always Open Enrollment, Join TODAY! We are a world-leading organization promoting character developments, physical fitness, and self defense through the study of International Kenpo under the guidelines of the United Martial Arts Alliance International and the Vigoroux International Instructor’s Alliance. Empower students, families and friends of International Black Belt Academy to achieve fulfilling and productive lives. Maintain a commitment to the principles of Black belt. Provide quality education with a passion for excellence. Serve our students in a positive environment. Encourage the essence of teamwork. Give back what we have been given. Invigorate dreams and honor traditions through our love for all who enter our lives.